We are being told that “alien life” may be a lot closer to home than astronomers previously thought. It is now believed that the south pole of Enceladus, one of Saturn’s 62 confirmed moons, may have conditions favorable to hosting life. 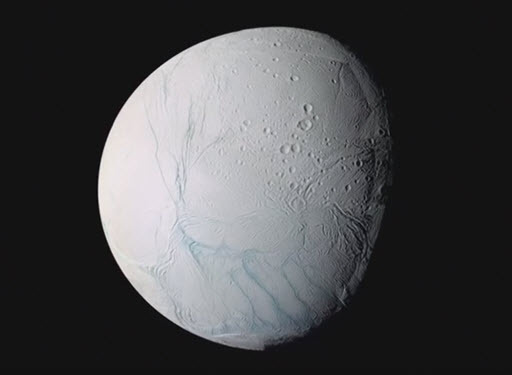 NASA’s Cassini mission is in its final stages orbiting Saturn, but so far data has come back to suggest there’s a subsurface ocean on the south pole of Enceladus which is under only 1.2 miles of ice. This area is also much warmer than thought, and in an environment that contains salt. The spacecraft discovered plumes of water vapor spraying out into space from the moon’s south pole coming from warm fractures in the surface ice. Scientists also confirmed that the source of this heat cannot be explained away only by heat from Saturn and the sun… meaning there is an additional unknown heat source. Salt, water, and heat… three ingredients that, combined, suggest the real possibility of life.